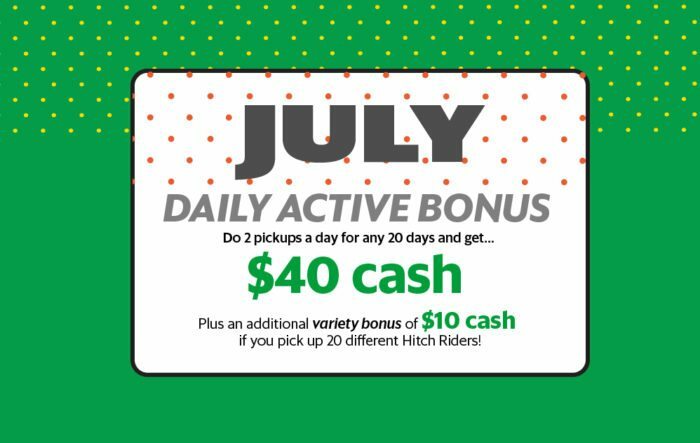 NEW IN: July Daily Active Bonus + Referral Credits! Ready for an awesome July? 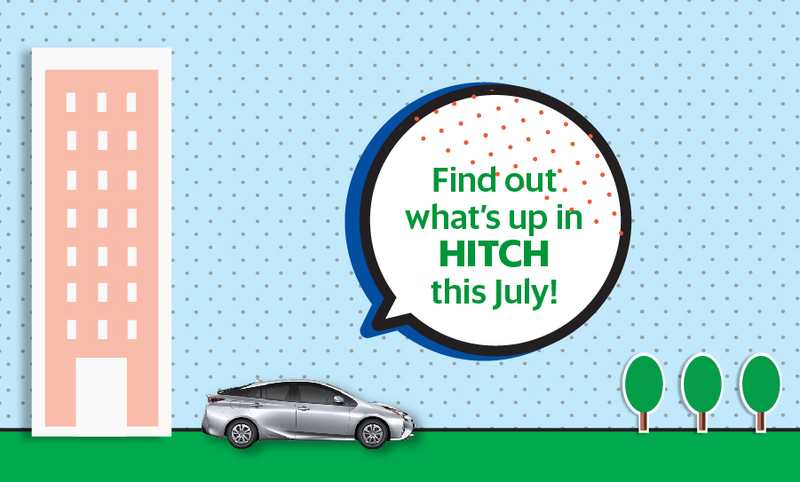 Read on to find out the Hitch happenings in the new month ahead! Congrats to those who hit Daily Active Bonus in June! This month we have a special variety bonus to appreciate you for giving a lift to more people! We’re glad you love Hitch as much as we do! But remember to respect LTA’s carpooling regulations and stay within 2 carpooling trips a day. Each trip is defined as the location of your first rider’s pick-up point to your own intended destination and may consist of more than 1 pickup so long as the pickups are along the same way. To ensure a smooth and stress-free experience for your Hitch Riders and yourself, we recommend no more than 2 pickups in a single trip! It’s so easy to get $200… OR MORE! Hurray! We’re extending our fattest referral bonus ever! Refer 5 friends or more and you get an additional $100. That’s at least a crazy $200 just by spreading the word!